Read our article on the list of factors that one must keep in mind to choose the best car servicing, workshop | Chennai (Wondering how to choose the best #workshop to get your #car serviced? In my opinion finding the best car servicing garage is a no brainer. looking out for the presentation of a garage that will give you the Best car servicing in your area. Does the garage look good? Most proud garage owners rally look after their premises, this is not always true but in general it will work out that way. Some back street garages don’t look too good but the work they turn out can be very good. Another good way is to see if the garage is in some sort of trade association. Here in the UK we have a main organisation that is called Motorcodes. If the garage is a member of Motorcodes, then you will be able to guarantee that the garage has been vetted by no other than the RAC, and operates a fair price policy and an arbitration service in case you do have a problem that cannot be solved and develops into a dispute. Also look out for other things such as do the garage have a waiting area or a reception, where you can wait for your car in comfort, whilst the work or MOT test is been carried out on your car, all these points will usually lead you to a Best car servicing centre,that you can trust and remain loyal to for years to come. But in my opinion one of the bast way to be sure of good Servicing a Car is by word of mouth recommendation, it is still the best way to determine how good the garage is. Point-S car servicing centre in Halifax UK probably the Best car servicing in the Halifax area. Hi I would like to introduce myself. I have worked in the Garage and tyre and Battery business now for 40 years. I worked for a couple of national tyre companies before starting my first business. 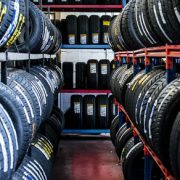 I now own a company here in the UK called Pellon Tyre and Auto-centre, and I am a keen blogger about anything to do with cars and their related products that will help my business. We are members of Point-S and MotorCodes and are also a Unipart Car Care Centre. Check out GoodYear Eagle Efficientgrip Car Tyre Online at GoodYear India. 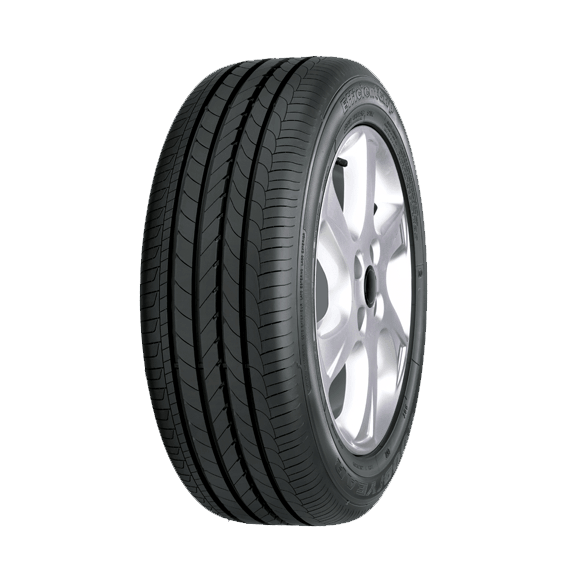 See GoodYear Eagle Efficientgrip Car Tyre specifications, tyre sizes, features & benefits. Of course, like these other fuel efficiency tires. So the Goodyear Eagle Efficientgrip tyres use silica filler, but this is where the similarities end. In these Goodyear tyres the silica is blended into a different compound. Compared to what is used in normal fuel efficiency tyres. Recent studies have found that the fuel savings seen over the life of a set of Eagle Efficientgrip tyres. Naturally, off sets the Co2 produced from the manufacture of the tyres. So making them one of the most environmentally friendly tyres on our roads today. Consequently, tyre engineers have been building tyres designed for fuel economy for quite some time. Of course, by mixing silica into the tread compound. Reducing the friction between the vehicles tyres and the road surface. Significantly, these Silica based tyres do dramatically reduced rolling resistance. Which leads to better fuel economy! Downside is they suffer from decreased tread life. So, compared to traditional carbon black tyres. Of course, In addition to the material characteristics of the tyres. Subsequently, the Goodyear Eagle Efficientgrip tyres also use a dual tread zone design. So, improving the tread wear. Consequently, recent studies have found that the fuel savings seen over the life of a set of Goodyear tyres off sets the Co2 produced from the manufacture of the tyres. Making them the most environmentally friendly tire on the road. naturally designed as a new environmentally friendlier tyre. So, the Goodyear EfficientGrip provides driving performance while reducing fuel consumption. The popularity of the new Goodyear tyre, “the efficientgrip” has quickly spread around the world. A few years back, on a week long bus tour of Continental Tyres UK Ltd AG’s technology and engineering centers in Germany, one item attracted more attention from journalists than nearly any of the other whiz-bang connected-car stuff: A simple tire pressure monitor. This article written by Bob Gritzinger.Therefore, is all about the new ideas and inventions. Thrown about by the Auto industry at the moment. 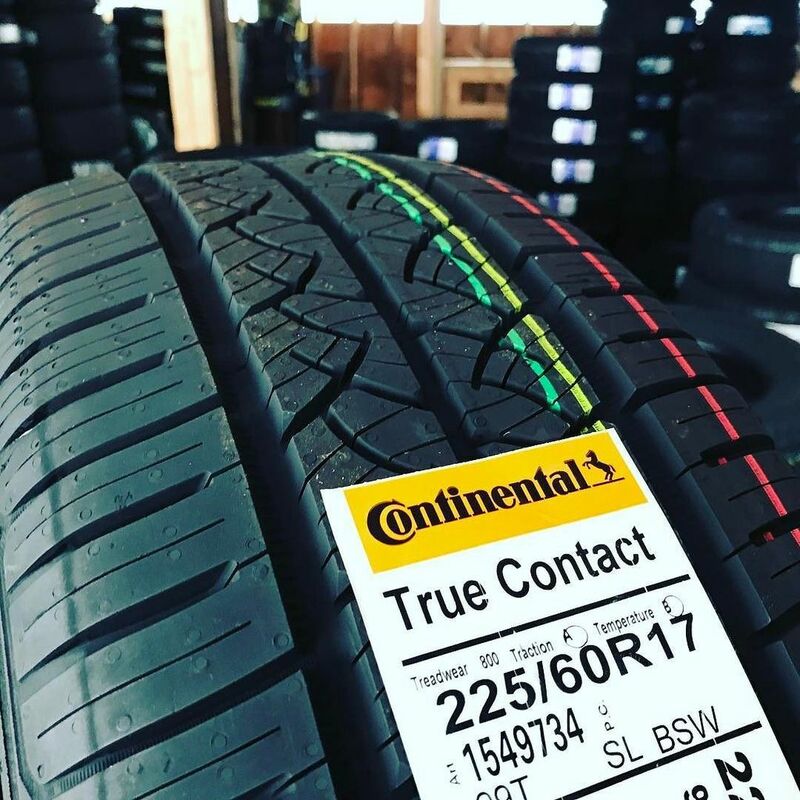 Consequently, this idea from Continental Tyres UK Ltd has now been tested on truck tyres. But at the moment I don’t know whether it has been a success or not. I suspect it will be effective. Because the concept of a monitor. Hence, vulcanised into the tyre. Relaying out information electronically about such things as tyre pressures and the inside temperature of the tyre is obviously of great benefit to the driver of the vehicle. The device will be able to aid truckers. Because it will also be able to send the driver information. Thus, about the load that the tyre is carrying. Including the traction details of the tyre, with this giving the driver the knowledge that the full load and road conditions can be checked as the truck is rolling along. I don’t know what sort of signals the “Ice road truckers” would be getting from their in built TPMS tyres? tyre the system will pick up the loss of pressure and stop the car in some sort of safe area and the problem reported and fixed. if not checked at regular intervals. only have to be in the wrong time and the wrong place, for an accident to happen. When our cars are in good condition and serviced at regular intervals we have a better chance of getting out of a sticky situation when driving. AT first I did not want to blog this accident because of the fatalities, but I think it important to point out that these things happen and it could be that if this car had good tyres at the correct Air Pressure, then the outcome could have been different. We in the tyre trade are always preaching to motorists about checking their tyres and tyre pressure, but accidents like this are proof that bad things can happen if you do not service your car and check the tyres at regular intervals . I would like to pass on my condolences to these girls family. If you purchase a used car or an older car that doesn’t have the technology to inform you when something is needed, it’s even more important to keep track of the car servicing times and schedule. CAR SERVICING Times -where are we now? During the time that I have owned a garage Car Servicing has seen many changes. The change though is not so great. We are what I would call a local garage. Servicing and repairing our customer’s cars. So, the same as we have done here in Halifax for the past 25 years. Of course, the thing that has changed the most is the increase in competition. So, to overcome this we have had to keep everything up to date.Things like technology. Including the garage appearance. Probably the biggest change is the way that the garage has to be promoted. Car Servicing has developed and modified over the years. Especially as regards lower emissions in recent years. Generally we can keep up with the level of technology and computers. Required to service and repair these cars. Hence, the appearance of the garage is also very important. These days 60% of our customers are probably ladies. Having taken over the role of many male duties. Because more and more ladies can now drive and have jobs depending on their own cars. Meaning that the ladies usually now own their own cars. Therefore they are the ones that have to deal with the garages.Thus, should anything go wrong with their cars. This brings me to the point of the necessity to have a clean smart reception area. Including, facilities for all the customers not just the ladies. Subsequently, we call ours the TV lounge. Offering free drinks (coffee and tea) along with magazines. Now we have free Wi-Fi for the customers to use while surfing the internet. Or playing games on their tablets and phones. All these things are necessary. Especially, if you want to retain your hard earned customer base. Although our margins are a lot lower these days. Garages should make every effort to make their premises as smart as possible. The one thing that in my opinion has changed the most over the years other than repairing and Car Servicing Times, is the way we now have to market our businesses. Years ago the bigger you were, the bigger the advert you would place in your local newspaper and the national garage chains would advertise in the national papers, there was some sort of packing order. I will always remember the first full page advert that we took out on a Friday afternoon and the following day we had cars queuing down the road, it was most embarrassing because at that time we did not have infrastructure to cope with all that work. It was a learning curb that I will never forget. Also radio and TV advertising was affordable to the bigger garages and Auto-centres, but price pressure from other better off industries put the prices up and an end to that format of advertising exposure. Now the internet has taken over the battle ground, with almost every garage trying to get internet exposure and battling to get on first page of Google for as little cost as possible. This is where I am at now and as if you do not already know it is a long hard struggle. The thing to me is that it is hard to know what affect all the hard work on your garage, not like the old days with a full page newspaper advert. I suppose the fact that we are still busy is reflecting on the work that we have to put in to Google, Twitter and Facebook and car servicing and repairs will still go on regardless. Yokohama explains tyre sizes. But in a funny – Normally a boring subject- this time a so not boring way! Most people know how tyres are made. Tyres are made from many different parts that are basically stuck together. So, In the trade we call this “vulcanisation”. In other words in order to bond all the various components together. Hence, the not quite finished product needs to be vulcanised. This involves running the tyres through a curing machine. Of course, which bonds all the different components together. Things such as beads, sidewalls and the tread area. This process also adds all the markings and traction patterns on to the surfaces. Such as tyre size and load ratings. Over the years the development of car tyres has become.pretty amazing. Tyres are remarkable things and taken for granted. Thus, no matter how big your car is, it is supported by four patches of rubber. Each not much bigger than your footprint. Despite all the mechanical and computer technology. Now inside a modern car, it is still reliant on good quality tyres. Of course, with decent treads that are filled with the correct air pressure. Tyre design also includes the ability of the tyres tread to disperse the water quickly enough to maintain a grip on the road. With bald tyres then aquaplaning occurs. Aquaplaning is when a vehicle skids along the surface of the water. Subsequently, giving you very little control over the direction the car is going. Most drivers will never know anything about tyres, Including the tyre size and sidewall markings. However here is Jake to explain about it. To work out the size of your car tyres’ footprint, you need to know that the area is approximately equal to the car’s weight divided by the tyre pressure. For a 2-tonne car, that means the footprint of each tyre is about 7 inches wide by 4.75 inches long. Not very big at all, and remember, while the brakes work to stop the wheels turning, it is the friction between the tyres’ footprint and the road that will actually stop your car moving. Of course, everyone will need new tyres at some point. But understanding tyre sizes can be difficult ( and BORING). So we’ve made it easy and fun. Hence, with the help of journalist and tarmac rally ace Samantha Stevens and drift racer Jake “DriftSquid” Jones. Put simply, tyre sizes are written on the tyre side wall. Or on your car’s tyre placard and handbook. Tyres are measured like this- the width across the tread is in millimeters. The sidewall number (known as the profile or series) is a percentage of the width.Wheel size is measured in inches. Those are the three numbers you need to know — and need to pronounce like Sammy does in the video – to sound like you know what you’re talking about in a tyre shop. And yet, Yokohama has a colour system which makes choosing the right tyre tyre is so much easier than figuring out the size – go to www.yokohama.com.au and see for yourself! https://www.pellonautocentre.com/wp-content/uploads/2016/11/yt-40913-Yokohama-explains-tyre-sizes.-But-in-a-funny-not-boring-way.jpg 720 1280 Eric https://www.pellonautocentre.com/wp-content/uploads/2015/06/Logo_PellonCleanTrans.png Eric2017-12-27 05:25:042017-12-21 18:20:08Yokohama explains tyre sizes. But in a funny - Normally a boring subject- this time a so not boring way! Bridgestone tyres have indeed brought out new Bridgestone Blizzard Winters. In my opinion this is a step that the other leading tyre makers are making, a more varied amount of winter products. One of our biggest sellers here in Halifax was Yokohama “W” winter tyres they were very popular sellers. Another reason that I do not agree with this article is because we are now much more conscious about changing our summers with winters because of the colder winters that we are now experiencing. We have now been operating a “winter tyre hotel” for the past three years,not only does it work for us but it keeps in touch with our customers at least twice a year when they come in for theirs changing. Bridgestone have upgraded their SUV winter tyres range to include the Blizzak LM-80 EVO. Although these tyres have been out a couple of years now, they have proved to be a leader in the SUV winter tyre market. these with many sipe patterns to help get rid of the slush and wet that we associate with bad winter driving conditions. They have also added silica to the tyre compound to enable them to remain flexible when driving in freezing temperatures. The design is topped up with by adding a centre rib and extra shoulder blocks to the tread area, for extra strength when cornering, giving these larger vehicles better handling and wet braking when driving in winter conditions. Here is some advice about driving in winter conditions. https://www.pellonautocentre.com/wp-content/uploads/2017/11/zzzzzzz-snowy-scene-e1536905938370.jpg 300 450 Eric https://www.pellonautocentre.com/wp-content/uploads/2015/06/Logo_PellonCleanTrans.png Eric2017-12-26 05:00:132019-01-06 08:29:53Bridgestone Blizzard Winters-New Winter Tyres from Japans Bridgestone Tyre Company.